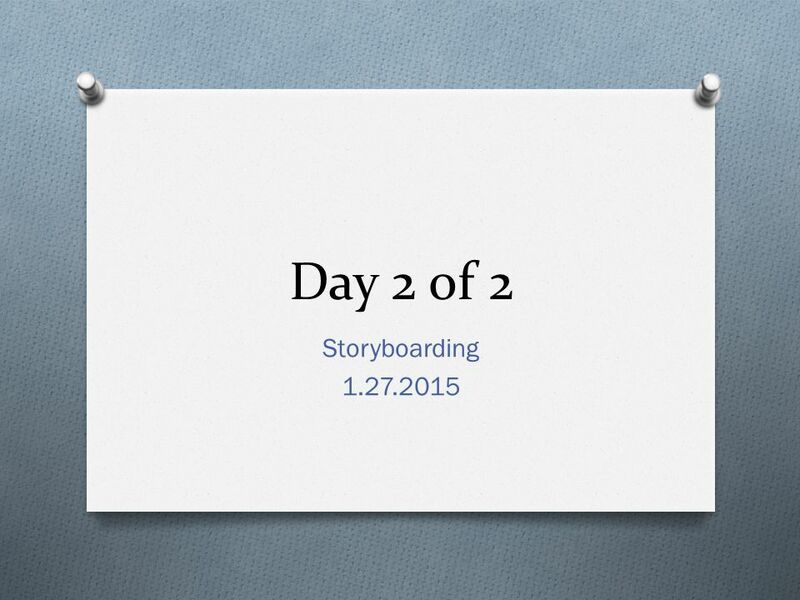 Day 2 of 2 Storyboarding 1.27.2015. 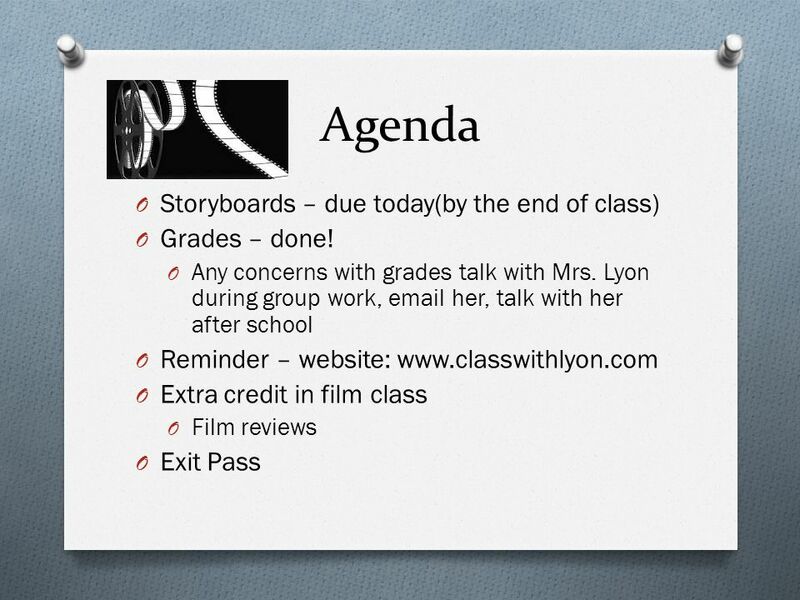 3 Agenda Storyboards – due today(by the end of class) Grades – done! 8 Make sure it’s all in your folder! Thank you! 11 Where do good ideas come from? 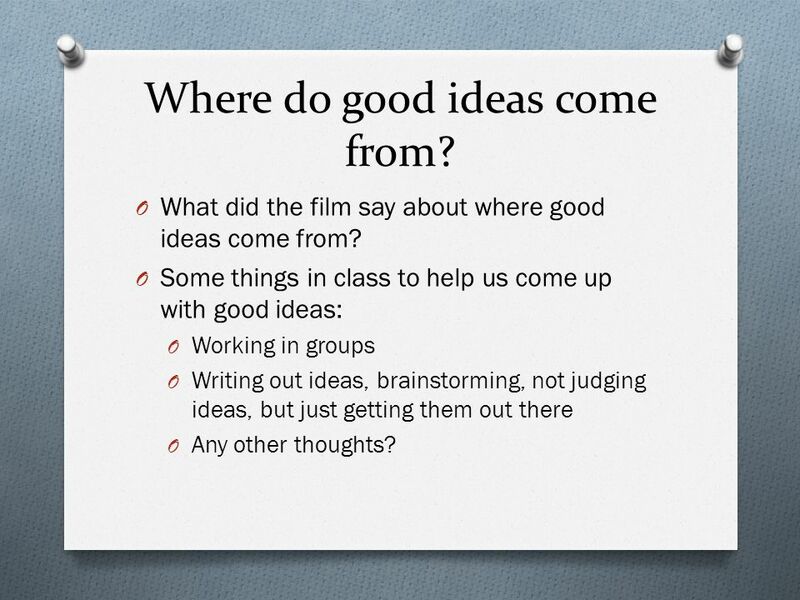 What did the film say about where good ideas come from? Some things in class to help us come up with good ideas: Working in groups Writing out ideas, brainstorming, not judging ideas, but just getting them out there Any other thoughts? 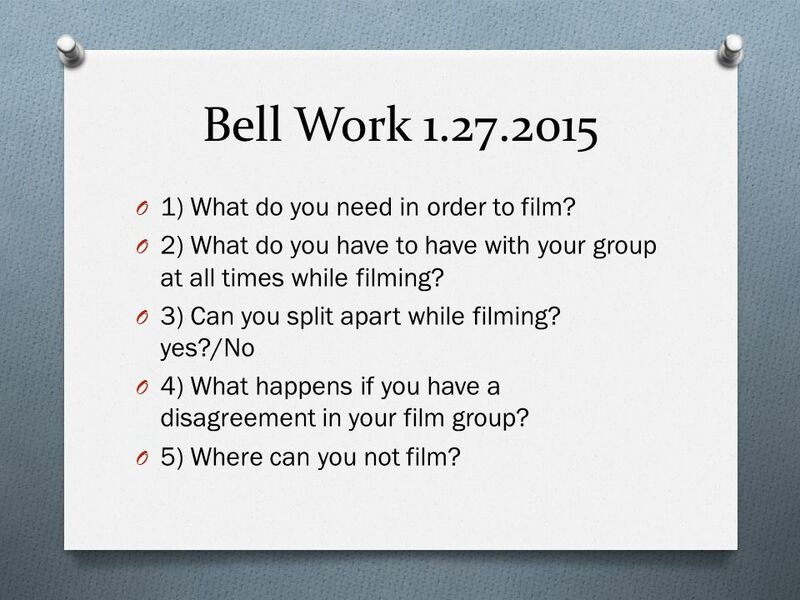 12 Bell Work 1.27.2015 1) What do you need in order to film? 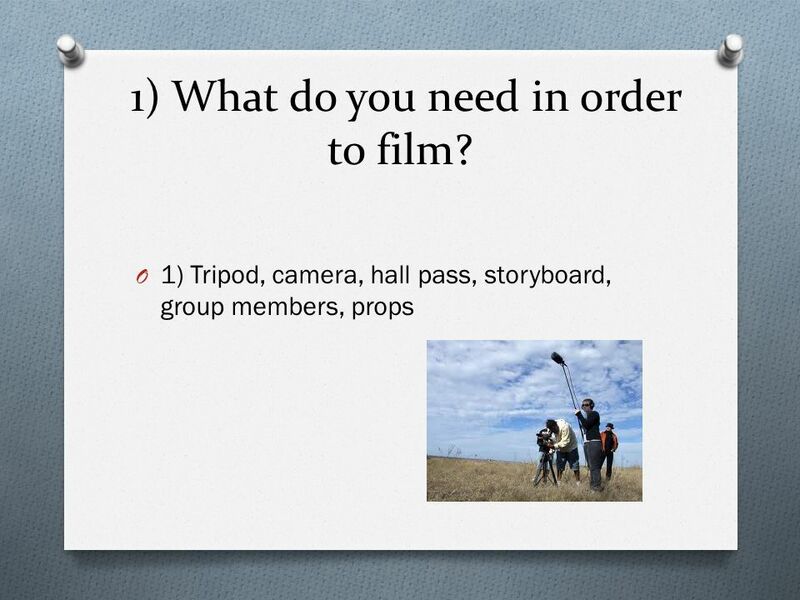 2) What do you have to have with your group at all times while filming? 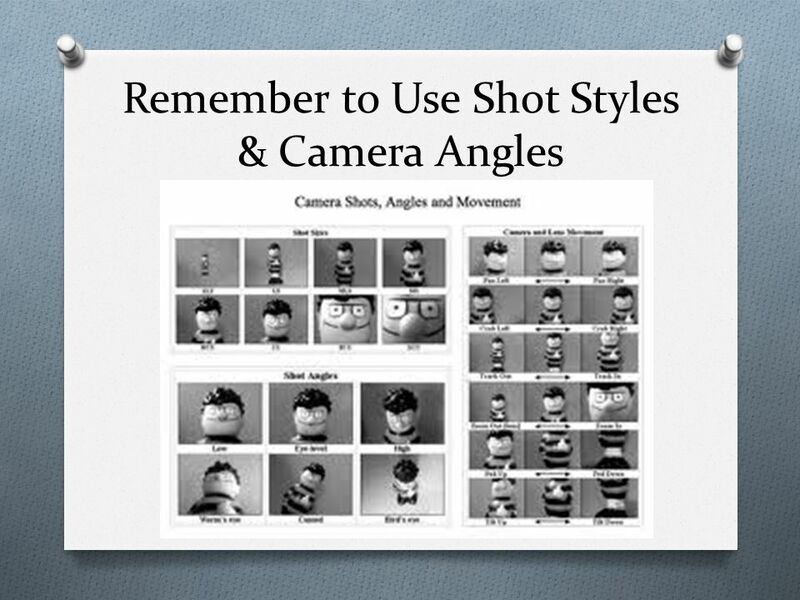 3) Can you split apart while filming? 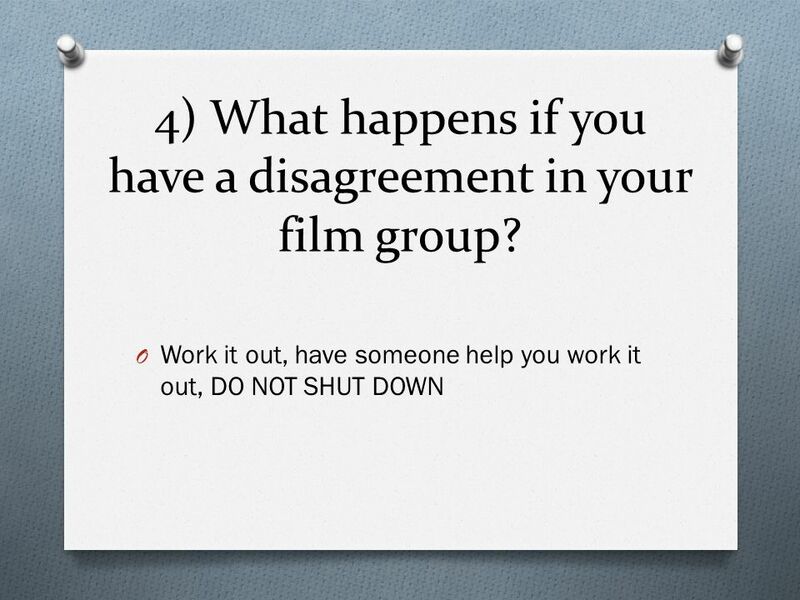 yes?/No 4) What happens if you have a disagreement in your film group? 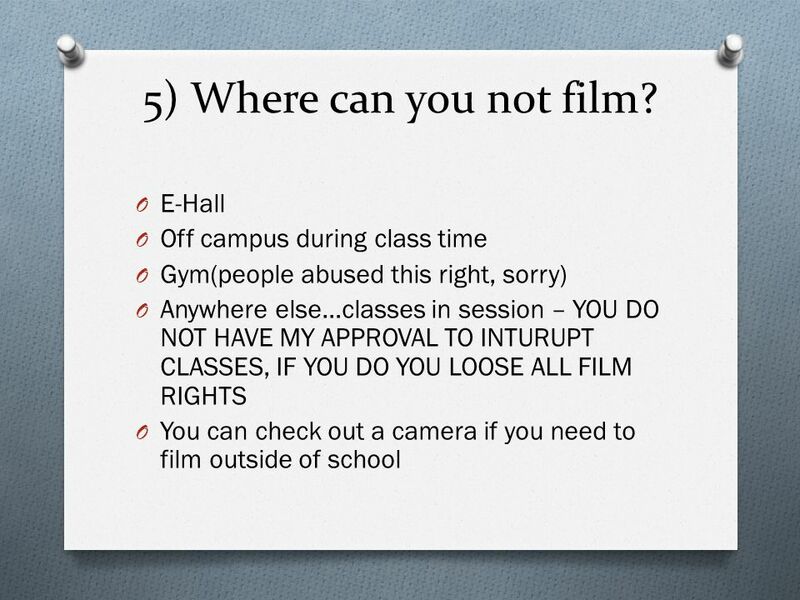 5) Where can you not film? 13 1) What do you need in order to film? 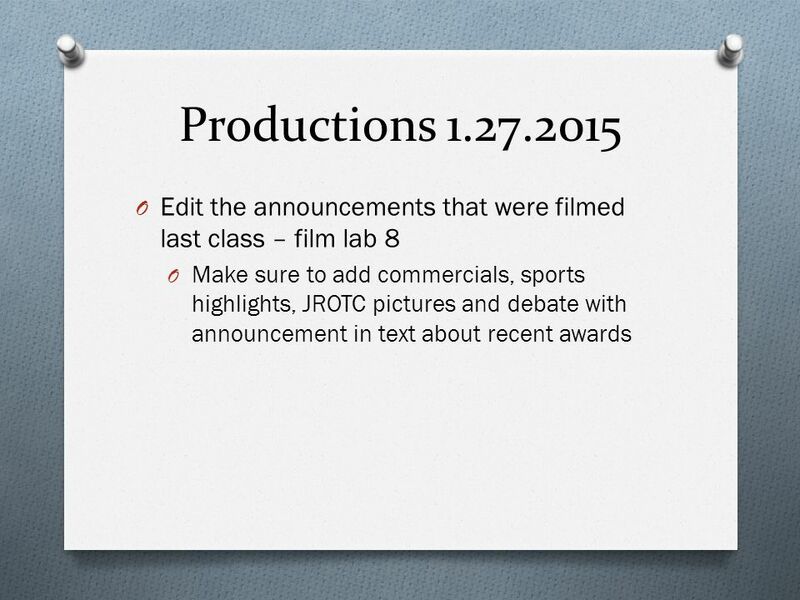 14 2) What do you have to have with your group at all times while filming? 16 4) What happens if you have a disagreement in your film group? 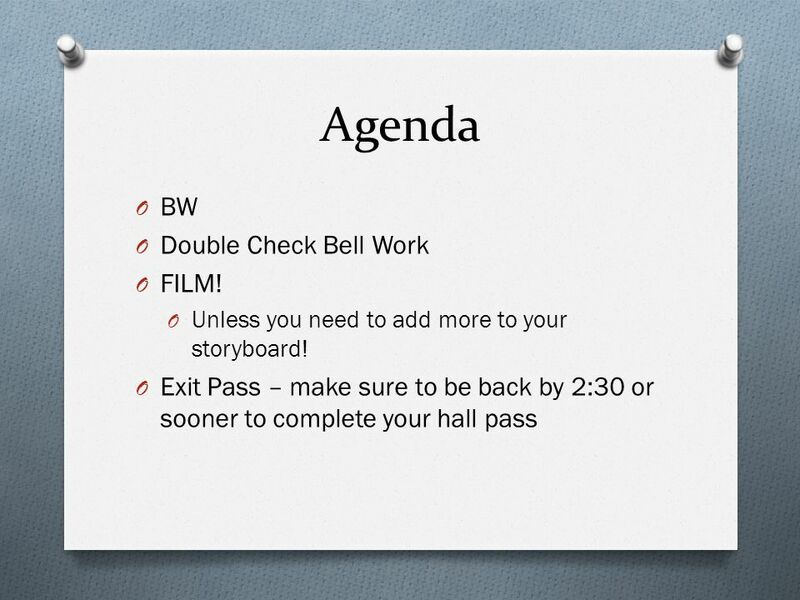 18 Agenda BW Double Check Bell Work FILM! 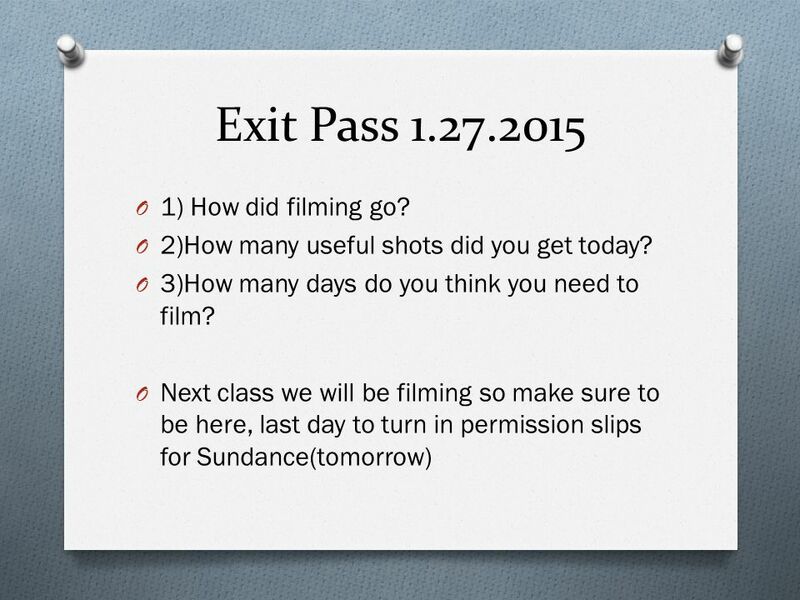 20 Exit Pass 1.27.2015 1) How did filming go? 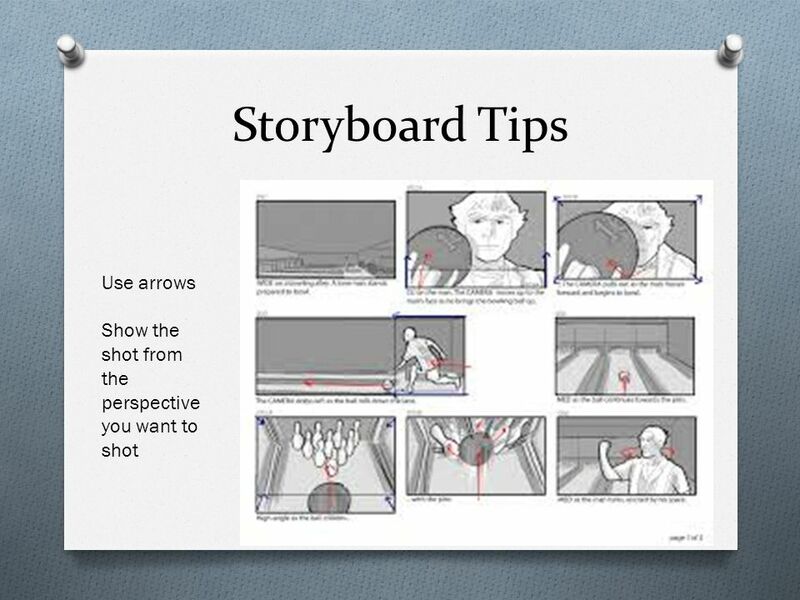 Download ppt "Day 2 of 2 Storyboarding 1.27.2015." 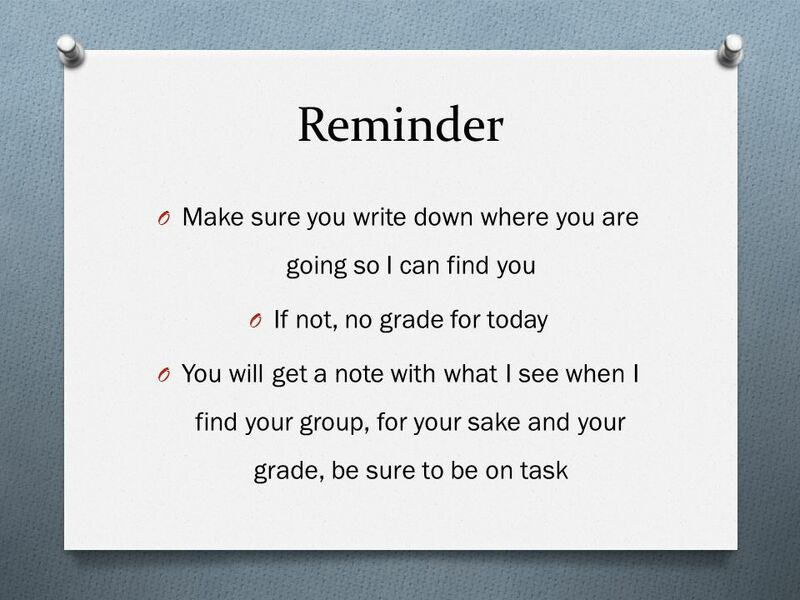 Study Skills… Do you want to get better grades…then listen up!!!! Day 2 of Film 1 Class Lyon. Get a partner! Get a partner You will be working on a mini-filming assignment together Make sure everyone has a partner, dont. 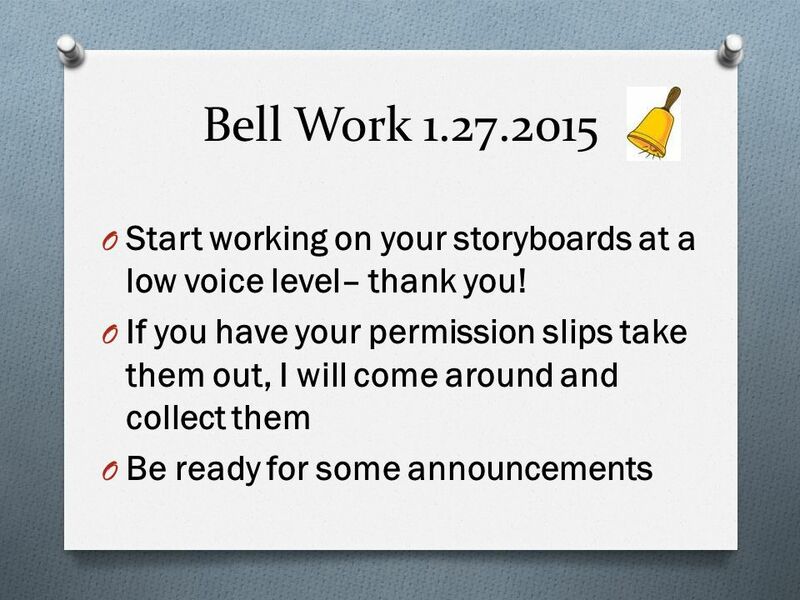 Bell Work 2/6/2014 O Good morning! 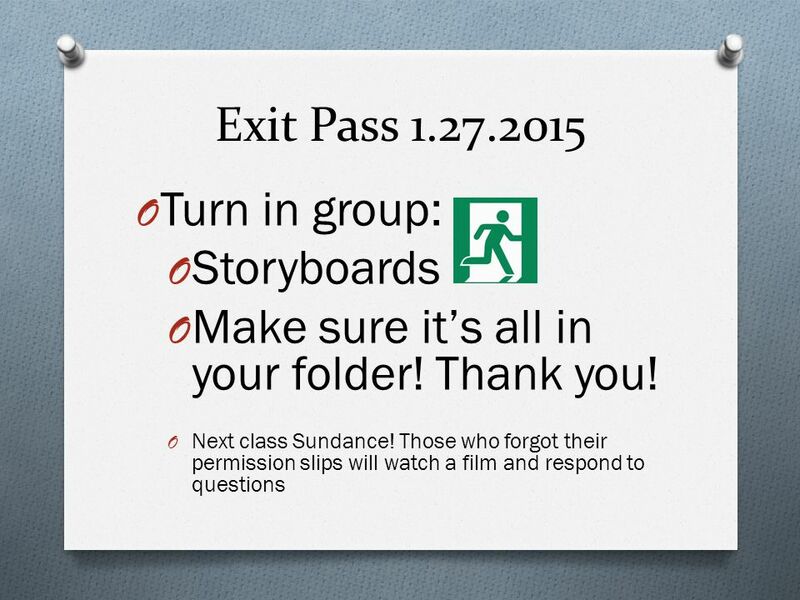 O Pick up your group folder O Get in your film groups & take out your storyboards O Start working on your storyboards. Day 2 of 2 Storyboarding Bell Work O Good morning! 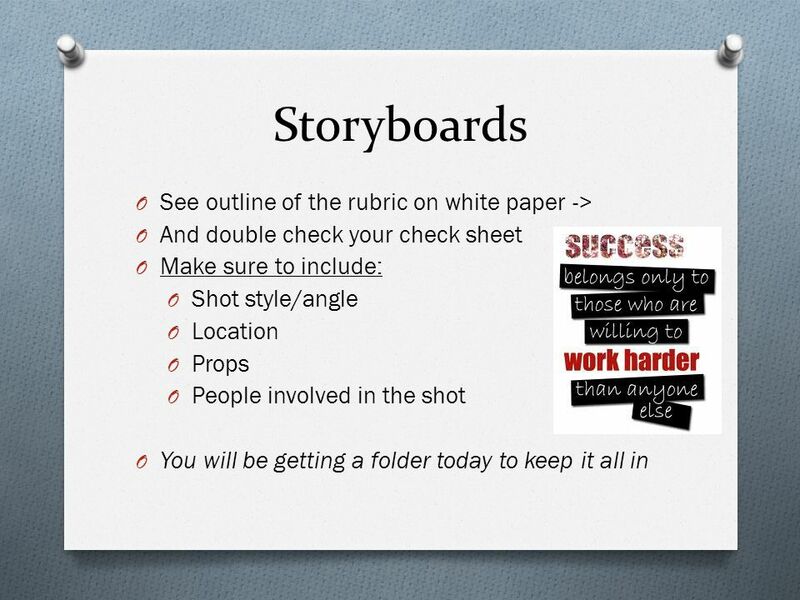 O Your graded work from last class is in your folder O Start working on your storyboards. What do I do when I first walk in every morning? © Chalk & Apples. Mrs. Hardcastle’s Expectations. Levels of Conversation Level 0-No talking Level 0-No talking Level 1-Whisper to one friend Level 1-Whisper to one friend. Bell Work Read Mrs. Hocutt’s letter to students (this should be on your desk) Read the directions for writing your letter to Mrs. Hocutt. BE SURE TO PAY. JANUARY 24. Welcome ASL 1! Today -each team needs an iPad and an instruction sheet-by the iPad. 1. 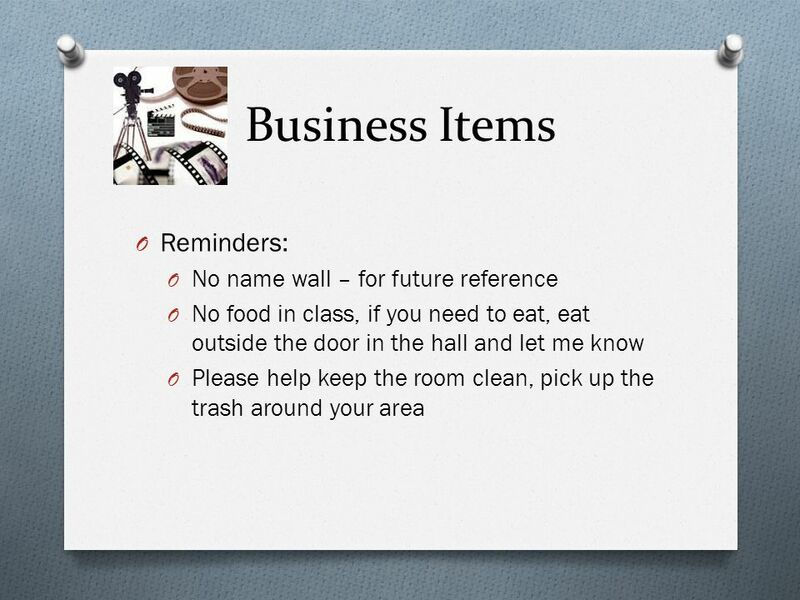 Doorbuster – copy all notes below:  Circumlocution. WELCOME LETS MAKE THIS A GREAT YEAR If your schedule says Earth Science or Science with Mrs. Carson in room 205 then you are in the right place. Please. E.Lyon. Day 2 of Editing! 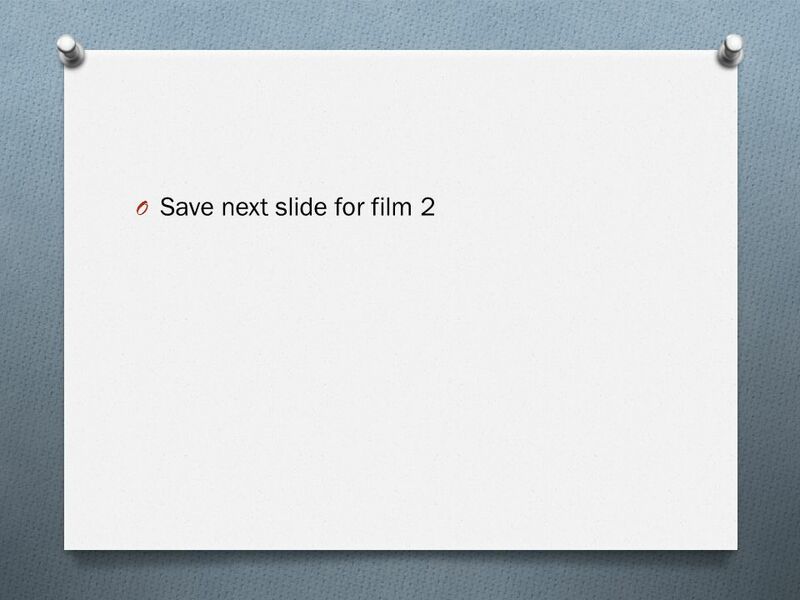 If you all finish early we can watch your films sooner, or you can add more of a plot to your film. Assignment 1: Symbols Day 2. Bell WorkBell Work 1) What is a symbol? 2) Make a list of at least 5 words that describe you 3) Now try to draw a sketch. Continue working on your final project If your done, earn extra credit to organize and clean the art room(or work off a U) *Make sure you return all checked.